Pet Pros is the perfect solution for busy professional pet owners. Pet Pros has pet experts nationwide who are ready to help you with all your pet needs. Our pet transportation service can take your pets anywhere and on time. We provide one way or round trip transportation to any place your pet needs to be. Our Pet Maid Cleaning Services Shine! While many maid services and house cleaning companies balk at the mere mention of pet fur or a litter box, we rejoice in it. Pet Pros Services has the right experts to clean your home and/or office! Pet Pros is based in Florida and was established with experts in every state after seeing first hand how difficult it can be if you find yourself in a situation where caring for your beloved pet is no longer an option. Busy professionals love us and so will you! Pet Pros will always put you and your pet needs first. The ringing of your door bell by our staff will bring comfort to you w/ love and compassion for your pet. We have more than 42 years of experience taking care of dogs, cats and other animals. Pet owners never want to have to give up their cherished family members. However sometimes circumstances make this?a necessity. Whether illness, allergies, a new baby, or job demands make it necessary. 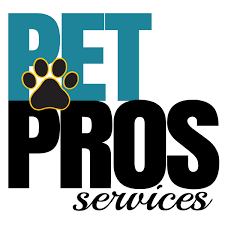 Pet Pros Services is here for you. If you are thinking about adopting a dog, cat or other pet, Pet Pros Services has a growing portfolio of pre-loved pets that are in need of placement into a loving new family. By adopting one of our client?s pets, you benefit by knowing all about your pet?s history, likes, dislikes and more. You also have the unwavering friendship and support of your pet?s former owners, many of whom would love the opportunity to keep in touch and even visit with your pet. It?s like adding to your extended family! Fill out our form below and one of our professionals will contact you. Thank you. Need to place your dog, cat or other pet in a new home? At Pet Pros Services, we know just how difficult it can be to have to give up your beloved companion for adoption. Our Pet ReHoming service was created just for loving pet owners in need of a helping hand in finding the right adoptive family with whom to entrust the well-being and future of their family member. Our pet transportation service can take your pets anywhere and on time. We provide one way or round trip transportation to veterinarians, groomers, trainers, boarding houses, airports, medical emergencies or any other place your pet needs to be. Long Distance Ground Transport, Hospital Transfer, Airport Services, Pet Removals, Terminal Curbside, and much more. We even travel from state to state. Pet Pros Services offers wonderful, pre-loved pets available for adoption by responsible families. If you have been thinking of?adopting?a dog, or?adopting a cat?or other pet to your family, we welcome you to browse through our listings of currently available adoptable pets. While many maid services and house cleaning companies balk at the mere mention of pet fur or a litter box, we rejoice in it. Pet owner?s homes need special cleaning services (especially if allergies are an issue), and our specially-trained house cleaning staff are experts. Pet hair doesn?t stand a chance against our team of top-notch cleaners. Pet odors will vanish.